Amateur wrestling is the most widespread form of sport wrestling. There are two international wrestling styles performed in the Olympic Games, Freestyle and Greco Roman. Both styles are under the supervision of United World Wrestling. A similar style, commonly called collegiate, is practiced in colleges and universities, secondary schools, middle schools, and among younger age groups in the United States. Where the style is not specified, this article refers to the international styles of competition on a mat. In February 2013, the International Olympic Committee (IOC) voted to remove the sport from the 2020 Summer Olympics onwards. On 8 September 2013, the IOC announced that wrestling would return to the Summer Olympics in 2020. The rapid rise in the popularity of the combat sport mixed martial arts (MMA) has increased interest in amateur wrestling due to its effectiveness in the sport and it is considered a core discipline. 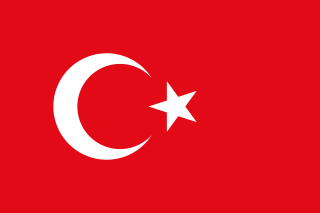 Turkey competed at the 1984 Summer Olympics in Los Angeles, United States. The nation returned to the Summer Games after participating in the American-led boycott of the 1980 Summer Olympics. 46 competitors, 45 men and 1 woman, took part in 49 events in 10 sports. Ahmet Bilek, was a Turkish Olympic champion sports wrestler in the flyweight class (52 kg) and a trainer. He won the gold medal in men's freestyle wrestling at the 1960 Olympics. Mehmet Nuri Boytorun was a Turkish Olympian sport wrestler, trainer and technical director. He competed in the Middleweight division of Greco-Roman category at the 1928 and 1936 Summer Olympics. Albania first participated at the Summer Olympic Games in 1972. They missed the next four games, two of them due to the 1980 and 1984 boycotts, but returned for the 1992 games in Barcelona. They have appeared in all games since then. They made their Winter Olympic Games debut in 2006. Albania normally competes in events that include swimming, athletics, weightlifting, shooting and wrestling. The country has not yet won an Olympic medal, and along with Bosnia and Herzegovina, it is the only European non-microstate without an Olympic medal. They have been represented by the National Olympic Committee of Albania since 1972. Cho Byung-Kwan is a male freestyle wrestler from South Korea. He participated in Men's freestyle 74 kg at 2008 Summer Olympics. In the 1/16 of final he lost to Buvaisar Saitiev, but he got to the repechage round. There he beat Ahmet Gülhan, but then lost to Iván Fundora and was eliminated. Mersin İdmanyurdu Sports Club; located in Mersin, east Mediterranean coast of Turkey in 1980–81. The 1980–81 season was the 10th season of Mersin İdmanyurdu (MİY) football team in First League, the first level division in Turkey. They have relegated to second division at the end of the season. It was third time the team relegated. The club signed with coach İsmet Arıkan. Arıkan's assistant was conditioner Seyfi Alanya. Ahmet Aytar was a Turkish long-distance runner who competed in the 1952 Summer Olympics. Ahmet Akdilek is a Turkish road cyclist. He was racing for Manisaspor before he transferred to Torku Şekerspor as a professional. In the national team, he is coached by Luka Zele. Events in the year 1952 in Turkey. Events in the year 1937 in Turkey. Ahmet Li is a Chinese-born Turkish table tennis player. He is a member of Beşiktaş J.K.. In April 2016, Li climbed up 26 steps to the 40th place in the world ranking list. As of August 2016, he is ranked the forty-fourth player in the world. Ahmet Nakkaş is a Turkish swimmer. He competed in three events at the 1984 Summer Olympics. Ahmet Altun is a Turkish long-distance runner. He competed in the marathon at the 1984 Summer Olympics and the 1988 Summer Olympics. Ahmet Kıbıl was a Turkish alpine skier. He competed at the 1968 Winter Olympics and the 1976 Winter Olympics. Ahmet Demir is a Turkish alpine skier. He competed at the 1988 Winter Olympics and the 1992 Winter Olympics. Ahmet Tuna Kozan is a Turkish footballer. He competed in the men's tournament at the 1960 Summer Olympics. Seyyit Ahmet Ağralı is a Turkish wrestler. He competed in the 1968 Summer Olympics. Ahmet Çakıryıldız was a Turkish wrestler. He competed in the men's freestyle bantamweight at the 1936 Summer Olympics. ↑ Evans, Hilary; Gjerde, Arild; Heijmans, Jeroen; Mallon, Bill. "Ahmet Şenol Olympic Results". Olympics at Sports-Reference.com. Sports Reference LLC . Retrieved 1 March 2019. This biographical article relating to a Turkish sport wrestler or wrestling coach is a stub. You can help Wikipedia by expanding it.